Apart from content, the design and navigation on a blog does also play an important role. Irrespective of the niche, the theme design should have a premium and exclusive look. If you are using WordPress as the blogging platform then this is achievable in few minutes with Premium Theme implementation or by using Plugins. Most of the premium WordPress themes comes with featured posts slider on homepage but theme implementation and customization is itself a tiresome process. That’s why I would recommend to use plugins which can add premium, designer slideshow on your current theme in less than five minutes. 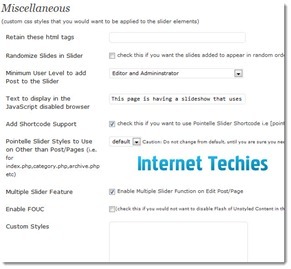 WordPress plugin directory is full of free WordPress Slider Plugins and some of them are very popular. On this blog, we are using Smooth Slider plugin which has been downloaded for more than 100,000 times. These free plugins are capable of adding a featured content or posts from specific category into a slideshow. But if you are looking for options rich, premium looking sliders for your WordPress blog, then try SliderVilla which is having all type of WordPress slider plugins. 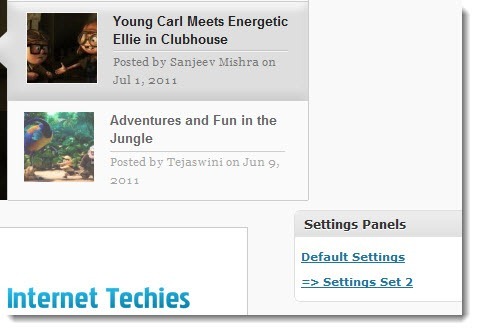 Currently there are four WordPress slider plugins on SliderVilla and all of them are very different from each other. # Pointelle Slider – Navigation panel in right side and content in left side makes the Pointelle Slider a 100% suitable featured posts slider for homepage or any other highlighted are of the website. There are four transition effects available in this plugin – Fade, Vertical sliding, horizontal sliding and horizontal uncovering. You can set the transition effect from settings panel. # Listic Slider – With full size image in the middle of the slideshow and post title, excerpt at the bottom makes Listic a featured post slider for WordPress. Now another small customization can make a listed view content slider from the same plugin. This demo page is showing three different sliders on same page. Similarly you can have a listed view content slider in the sidebar of the blog and at the same time can have proper full size featured post slider on homepage or any other page with Listic Slider WordPress Plugin. That means you can have horizontal slider as well as Vertical slider with this plugin. As it supports multiple settings with multiple sliders, you can add more than one slider on single page with different customization and look. # Roster Slider– Do you like the content slider above the post title of any article on Huffington Post or the previous theme of TechCrunch? 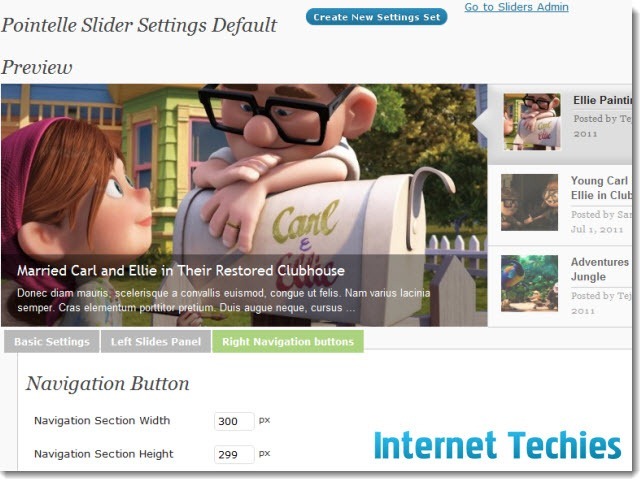 Now you can add that kind of slider on your blog with Roster Slider WordPress Plugin. You can customize the look and feel of the plugin from settings panel and have different kind of sliders from single plugin. Checkout the demo page which is showing multiple sliders on single page. 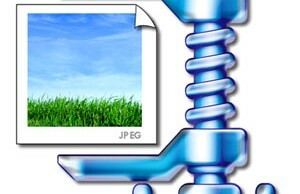 This plugin is also helpful in showcasing an image slider. The capability to add only media image with custom URL makes this slider helpful for affiliate marketing and insertion of banner ads in between the slider content. This feature is available in all four sliders on SliderVilla. # Verticalis Slider – To showcase simple but smooth and well-integrated vertically sliding content, you can use this plugin. 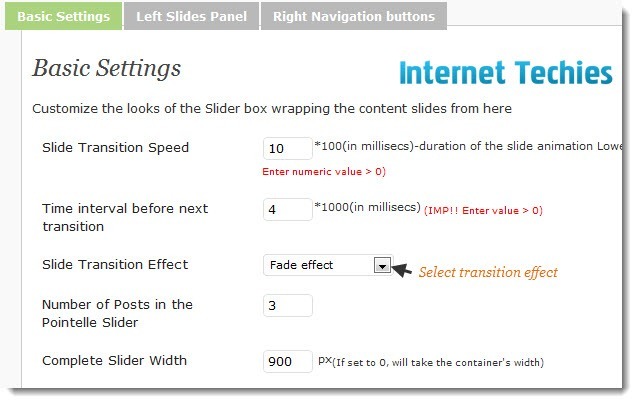 You can customize the slide transition speed, background color of the slider content area or the navigation panel. You can also provide the custom title for navigation panel. Slider title, excerpt and image customization are available on settings panel of the plugin so that you don’t need to code CSS, PHP or HTML to customize the slider. # Thumbel Slider – Double image slider with one bigger image and another one as a navigation thumbnail is the layout of Thumbel Slider plugin. You can have different image in the sliding content area and different one as a thumbnail in navigation area. # Flashcard Slider – Do you want to have Flashcard like quizzes on your WordPress site? With Flashcard Slider WordPress Plugin, you can have an amazing slider with individual flashcards sliding on your posts or pages. Once you will checkout the demo of the slider, you will understand its use and purpose. # Indexo Slider – Eye catching design with multiple slides inside a single slide, this is the introduction of Indexo Slider. You can arrange a particular type of posts or content sliding inside a single slide and that way you will be able to showcase different contents from your site in a visually appealing manner. # Pinwheel Slider – Are you planning to have a full width content slider with an extraordinary look? Pinwheel Slider is definitely a recommended product for you. Apart from images and texts, you can also embed videos inside the slider. # Placid Slider – Imagine a slider auto-sliding company’s logos in the footer area or showcase the list of clients in a sliding format. Placid is the best choice for auto-sliding logos, images with text etc. These plugins are having all the features of Smooth Slider and some premium features like multiple sliders with multiple settings and capability to run multiple customization of one slider plugin on single page. For example, this demo page of Roster slider is showing 4 different sliders on single page. 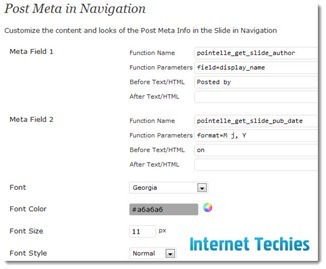 All four sliders are created out of Roster slider WordPress plugin and are running simultaneously without any problem. SliderVilla plugins starts at $6 for single domain license. Pricing is different for different slider plugins depending on the design and features provided with the plugin. 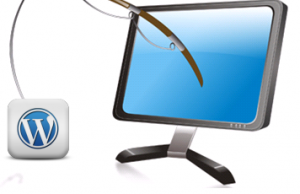 But you can buy single domain license of any plugin from SliderVilla for less than $10. I think the pricing is very low for these plugins specially when you are getting full support for installation of the plugin. That means you can ask the developer to install the purchased plugin on your current theme. Here is the complete price list of plugins. With features like multiple settings with multiple slider and 100% customization from settings panel, I would recommend you to get the slider of your choice from SliderVilla. You are getting all three options i.e. template tag, shortcode and widget to install the plugin on theme. The dedicated user guide for all slider plugins on SliderVilla will help you in installation and customization of your purchased plugin. Go ahead and add extra effects in your current theme with premium, feature rich and designer plugins from SliderVilla.